Yeah Yeah Yeahs announce new album, featuring James Murphy, Kool Keith and some truly nasty artwork - FACT Magazine: Music News, New Music. 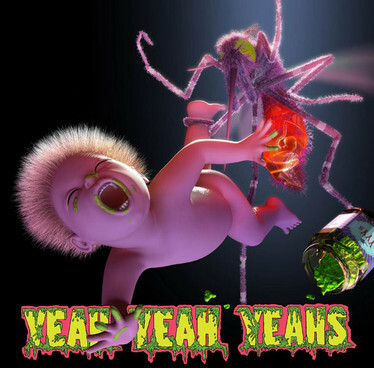 Let’s get it out the way now: yes, that’s the Yeah Yeah Yeahs’ new album cover, and yes, it’s horrible. Now, the details: the New York band will release their new album, Mosquito, on April 15. The band’s fourth album in total, it was produced by long-term collaborator Dave Sitek (TV on the Radio, Telepathe) and Nick Launay – with the exception of one track, which was produced by James Murphy and features Kool Keith under his Dr. Octagon guise [via NME]. No tracklist as yet, but you can watch a trailer for the record below – along with two new Yeah Yeah Yeahs songs that the band have been performing live [via Stereogum].